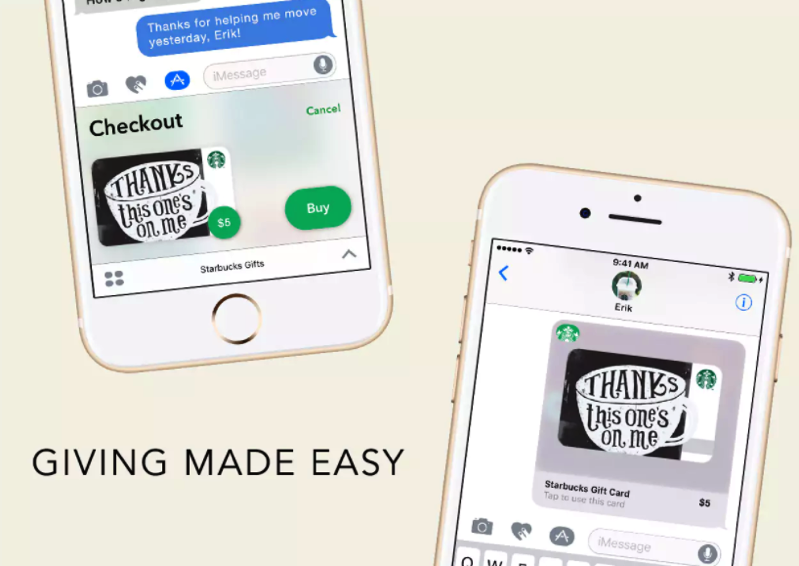 Last week, Starbucks updated their iOS app to introduce sending gift cards via iMessage and Apple Pay. 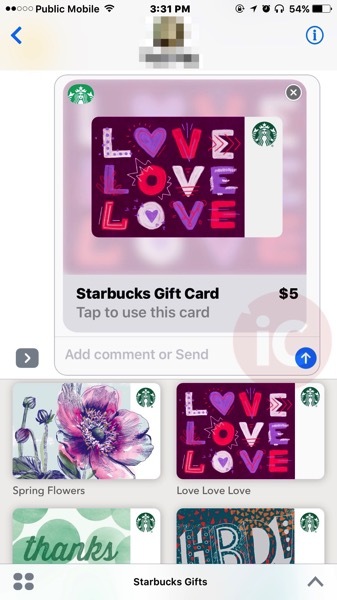 Now, there is a promotion to help spread the message about this feature, offering customers $5 free when they gift $5 using iMessage and Apple Pay. 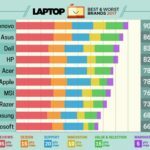 The promo started on April 6 and goes until April 19 11:59 PST, or until all 5,000 promotional gifts have been distributed. The offer is only open to those in Canada with an Apple Pay account, plus have downloaded the Starbucks Gifts for iMessage app with an iPhone 5s or newer, and are on iOS 10.2.1 or higher. First, download the Starbucks Gifts for iMessage App on your iPhone 5S or above. You must be using iOS 10.2.1 or above to download the app. Second, ensure Apple Pay is set up on your phone. If you don’t already have Apple Pay set up, you will be prompted to do so. 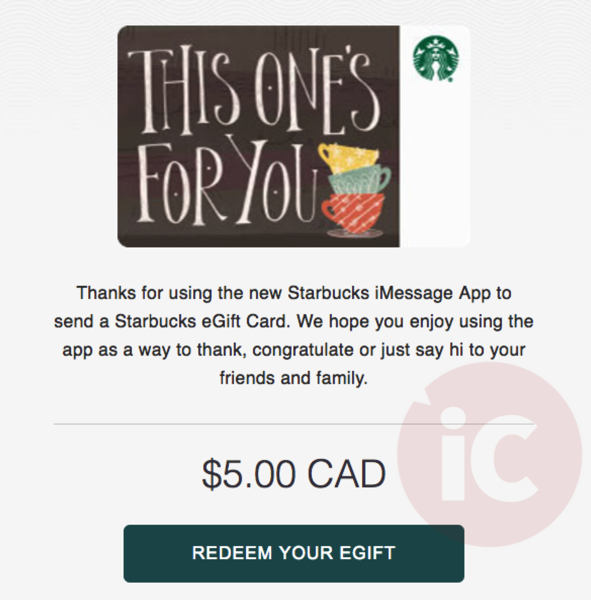 Here’s our tutorial on how to send a Starbucks iMessage Gift. I just tested this by sending a $5 card to my wife (#browniepoints), and shortly afterwards we received the bonus $5 Starbucks gift card via email. So it appears there are still lots of these $5 bonus gifts available. When you click ‘redeem your gift’ in the email, it’ll ask to launch the Starbucks iOS app, which you can then add the card to the app.